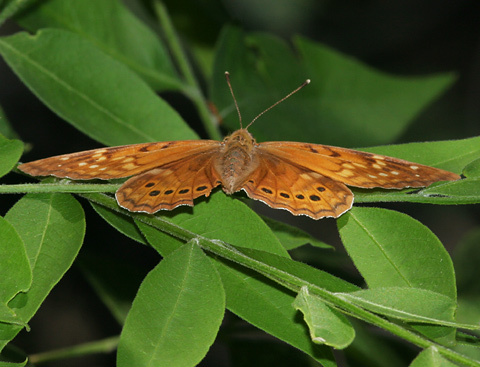 Here in Arizona, Tawny Emperor (Asterocampa clyton) butterflies are mainly found in the southeastern part of the state in riparian woodlands with Netleaf Hackberry (Celtis laevigata var. reticulata) trees and Spiny Hackberry (Celtis ehrenbergiana) bushes, two of their larval food plants. In August of 2007, I observed this female Tawny Emperor resting in the shade along a stream in Agua Caliente Canyon in the foothills of Arizona's Santa Rita Mountains. Tawny Emperors have yellowish chestnut brown dorsal wing surfaces and duller, often paler brown ventral wing surfaces. The females like this one are larger than the males and have paler, only faintly patterned ventral wing surfaces. 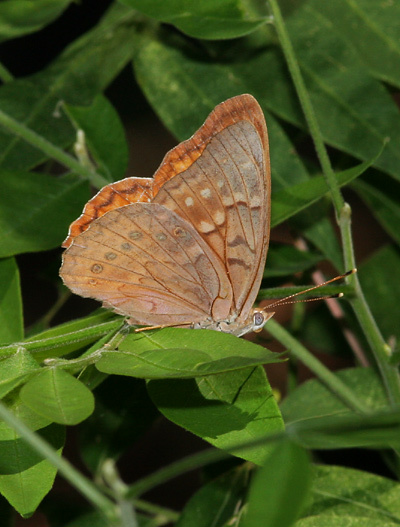 Both sexes have a row of dark brown spots near the edges of their hindwings. Tawny Emperors have no eyespots on their forewings unlike the similar and closely related Hackberry Emperor (Asterocampa celtis) and Empress Leilia (Asterocampa leilia) butterflies. Dusky Emperors (Asterocampa idyja) also have no eye-spots on their forewings, but their forewings are broadly dark-tipped and have a pale, diagonal band across them. 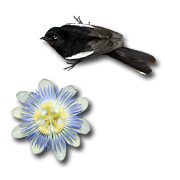 These four Asterocampa species are all found here in Arizona, especially in riparian and canyon areas with Hackberries, but the Dusky Emperor is only a rare stray to the southeastern part of the state. 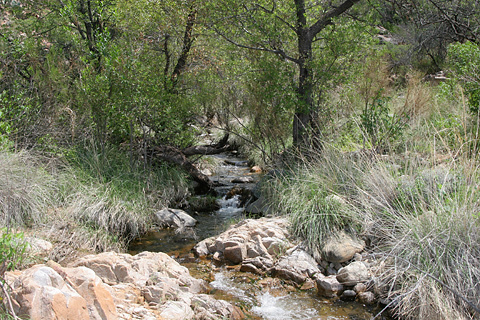 I have seen Tawny Emperors, Hackberry Emperors, and Empress Leilias in Agua Caliente Canyon in the Santa Rita Mountains, and this interesting, riparian canyon appears to be prime habitat for these Hackberry-loving butterflies.